It’s a good day. No… it’s a great day! 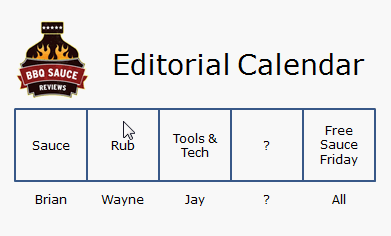 I’m proud to announce that the popular Wayne Brown (aka @brownkw aka Big Wayner) has agreed to write a few segments for BBQ Sauce Reviews – focused on reviews of the best BBQ Rubs. His first official post for the site is coming up in a few minutes. 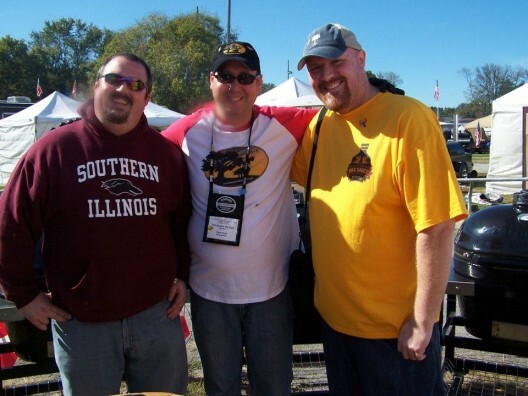 My name is Wayne Brown, and I am a self-admitted BBQ junkie! A resident of the Charlotte, NC metropolitan area, I work as a web / software developer for an IT consulting firm. One of the benefits of being a resident in the Carolinas is easy access to a lot of good BBQ. This blog will go down the path of product reviews, musings, and general banter. I am also a member of the Kansas City BBQ Society and am a Certified BBQ Judge. I am always interested in trying out new BBQ sauces, rubs, and gadgets. If you’d like for your product to be reviewed, feel free to contact me. You can find me on Twitter and Facebook. Or if you need to contact me by email, you may do so here. Like Jay Prince and myself, he’s also got a passion for food and high quality food writing which is why we thought it would be a great idea to try out a collaboration. Jay and I get a lot of requests to have rubs tested out and we both think Wayne won’t rub anyone the wrong way in his reviews which are positive yet thorough and honest. So go ahead and reach out to him to get on the calendar!